Use Thanksgiving games to bring enjoyment and laughter to your family gathering this year! Or these could easily be used with your Christian youth groups, Sunday school lessons, or any gathering of any age! Our family loves to play games, so this year I wanted to come up with a few games for Thanksgiving that would revolve around being thankful during the Thanksgiving season! A few years ago, one of our sons introduced us to a game called “The Game of Things”; we made our own with homemade questions on index cards. This could easily become a Thanksgiving game of Things! What happens in our family since we know each other so well, instead of putting our own answer, we try to put what we think someone else might say to throw the other players off! This is such a simple, yet fun game; you learn a lot about each other too! 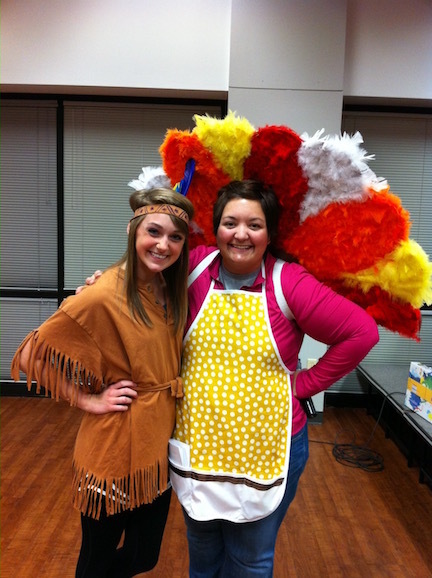 Thanksgiving games of quick thinking can be competitive or used as a fun group activity to celebrate Thanksgiving. 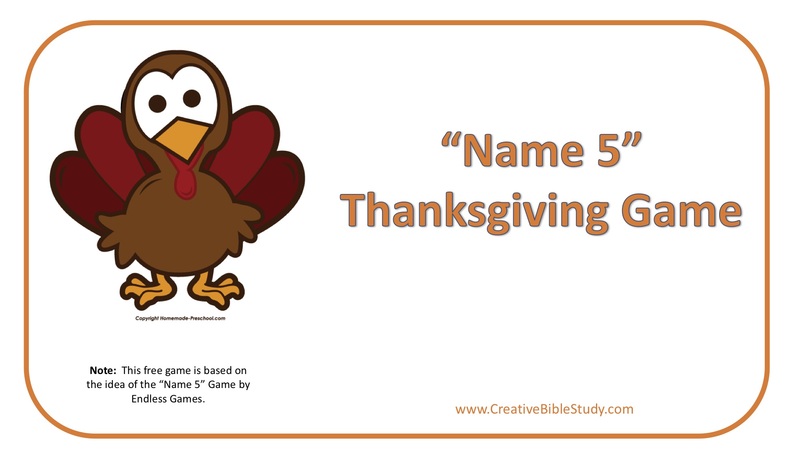 You have ten seconds to name five things having to do with a certain category such as - "5 Thanksgiving Food," "5 Words that rhyme with Thank,", "5 Things you thank God for that begin with G," etc. Download and print our free game cards that also include extra so you can make up your own! 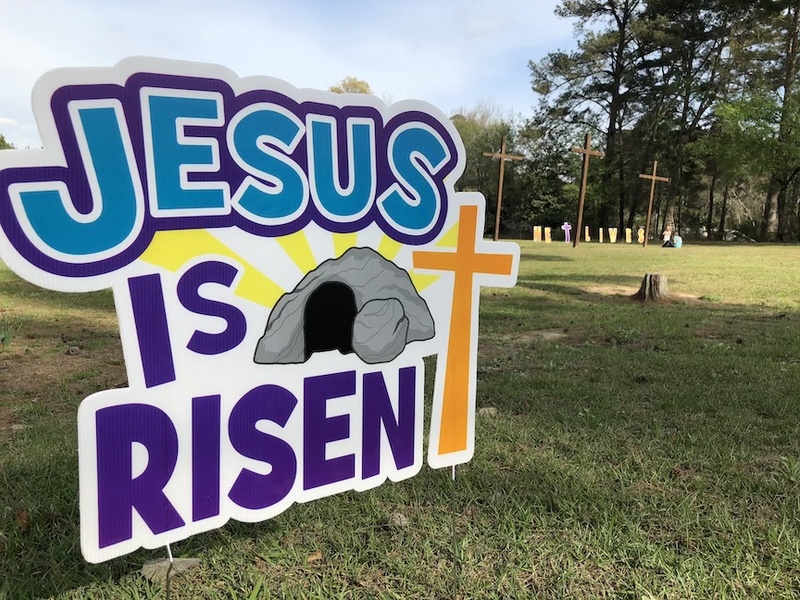 Play this game just like the normal game, but looking for things for which we can be thankful - “I Spy with my little eye something that is blue for which I thank God." You could even incorporate other adjectives for a little variety – “something wet”, “something tall”, “ something noisy”, etc.! This could be done in any setting - classroom or Thanksgiving dinner table with no set up or needed items! Thanksgiving games will not only help us to focus on having an attitude of gratitude, but they also will add to the fun memories of spending time together! 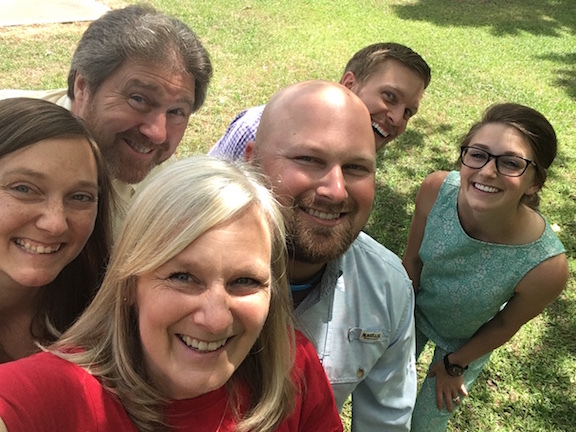 Our family has always loved the challenge of a scavenger hunt! Thanksgiving is of course a time we focus on being thankful! This is a fun way to have kids (as well as adults) be creative in their thinking of the many things for which we should give thanks for to God. Instructions: Your team needs to find one of item for each description of things you for which you may be thankful. If this is played in a classroom, you may play it more like “I Spy” and have participants write down as a team the things they see for which they are thankful with the descriptions. When I was younger I loved games like this! But now that I'm older it is so much harder that I feel at a major disadvantage! There are many ways to present this game. 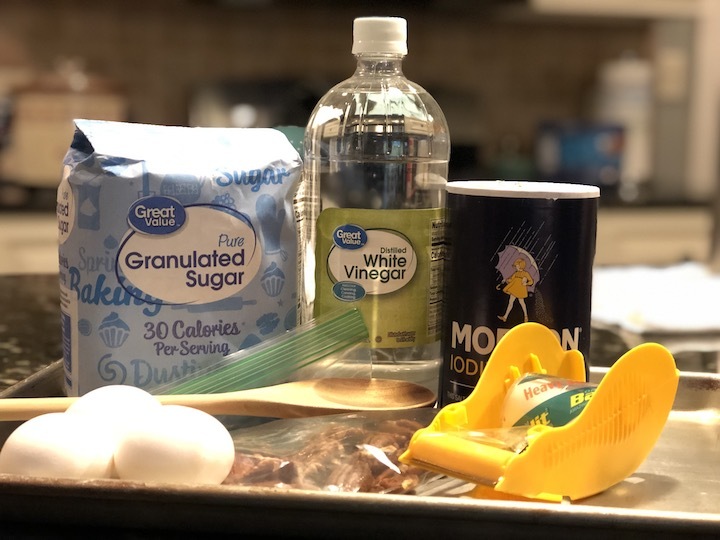 You can place many Thanksgiving items on a cookie tray. Let everyone look at it for about a minute and then remove it from sight. Everyone then tries to write down as many things as they can remember! Items may also be placed on a table and then covered from site. Use a variety of items from a cutout picture of a turkey to an acorn to a can of cranberries, etc. Make sure to include a Bible as one of the items! :) After the winner is named, read a few verses about remembering God and being thankful. Psalm 77:11 NIV "I will remember the deeds of the LORD; yes, I will remember your miracles of long ago." Psalm 143:5 NIV "I remember the days of long ago; I meditate on all Your works and consider what Your hands have done." Take time to remember another meal...the Last Supper. And time to remember all that it represented. 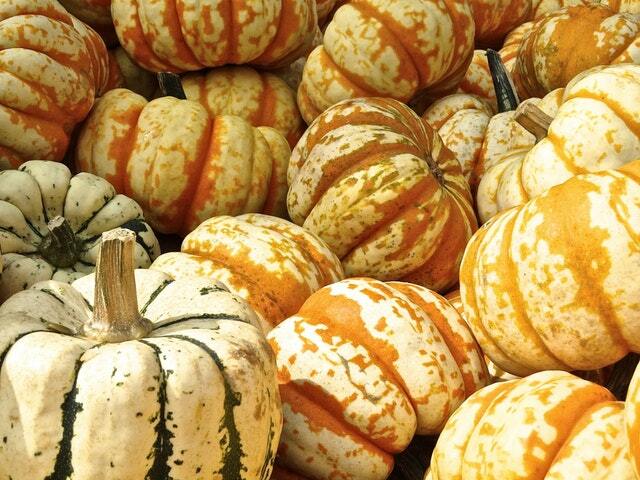 Truly we have a lot for which to give thanks! Luke 22:19-20 "And he took bread, gave thanks and broke it, and gave it to them, saying, "This is my body given for you; do this in remembrance of me." In the same way, after the supper he took the cup, saying, "This cup is the new covenant in my blood, which is poured out for you." 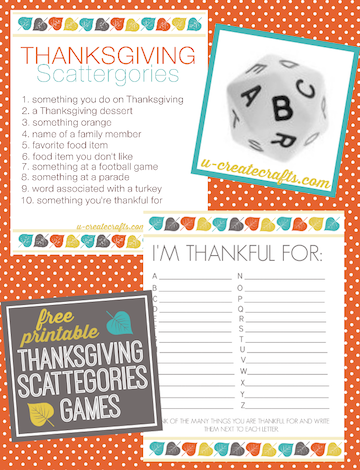 The folks at U-CreateCrafts.com have put together a free printable to get your family started playing a Thanksgiving version of the fun group game - Scattergories! Karyn over at TeachBesideMe.com has created a fun Thanksgiving version of a game most of us played as kids - Pick-Up Sticks! 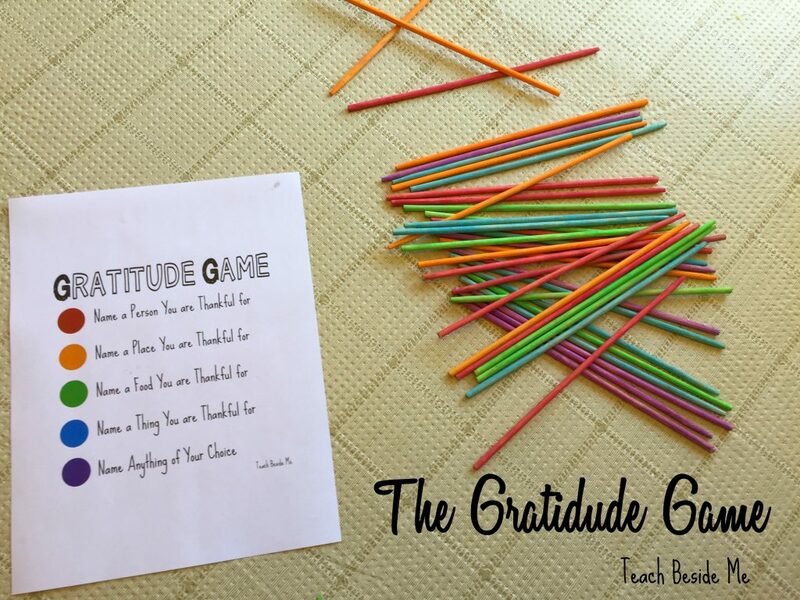 She gives instructions and printables to make your own version of The Gratitude Game. She also has recommendations for Thanksgiving books and other fun Thanksgiving activities! I love the idea of Thanksgiving games like this because it can begin a time of sharing other memories that are special! This could even set the stage for memorizing one of the Bible verses as a family or class. Thanksgiving games and other ideas are helpful in creating wonderful memories among family as well as friends!